We are very excited to announce that our commitment to providing a first class customer service has been recognised by the independent rating and review website Feefo, who have awarded us their prestigious Feefo Gold Trusted Merchant Accreditation 2016. 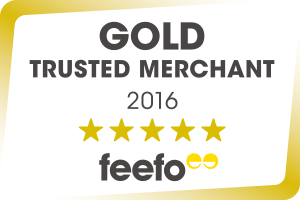 To receive this Gold Trusted Merchant accreditation, a business is required to receive 100 reviews or more, with an average Service Rating of between 95% and 100%, on Feefo. This accreditation is unique in that it is based on the experiences of our genuine, purchase verified customers. 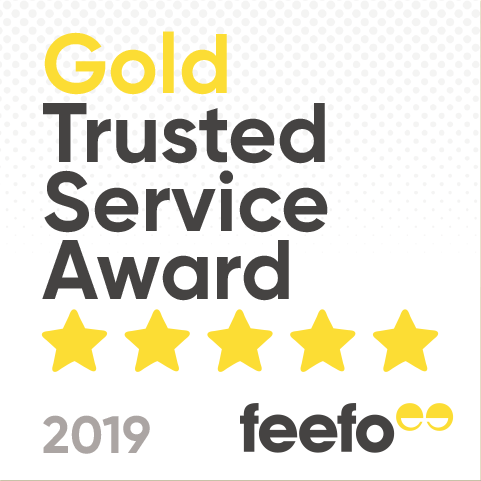 The feedback left by you, our customers, over the course of 2015, and our consistently high scores in customer service throughout the year via Feefo have earned us this very important recognition. It supports our continuing focus on meeting – and striving to exceed – the Financial Conduct Authority’s principles of putting our customers’ interests first, treating them fairly, and communicating information in a way which is clear, fair and not misleading. Further reading: What does our Feefo rating mean?